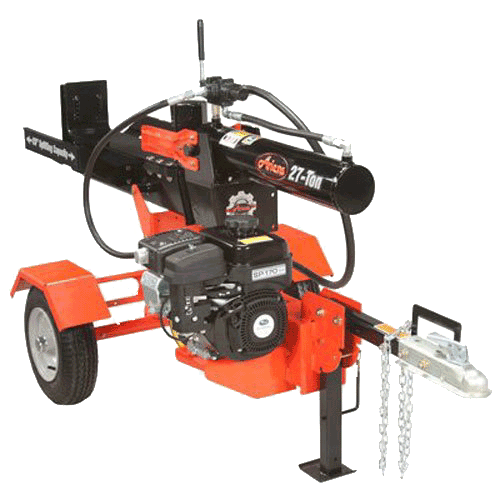 The Ariens gas log splitter quickly and powerfully cuts logs in its 16.5 second cycle time. The Subaru SP-170 engine makes 8.34 ft. lb. of torque. With an open operating zone, users will find it easier to use, with less bending and fatigue. The Ariens T27 - 917001 is available at KK Lawn & Sport. Contact us for more information.